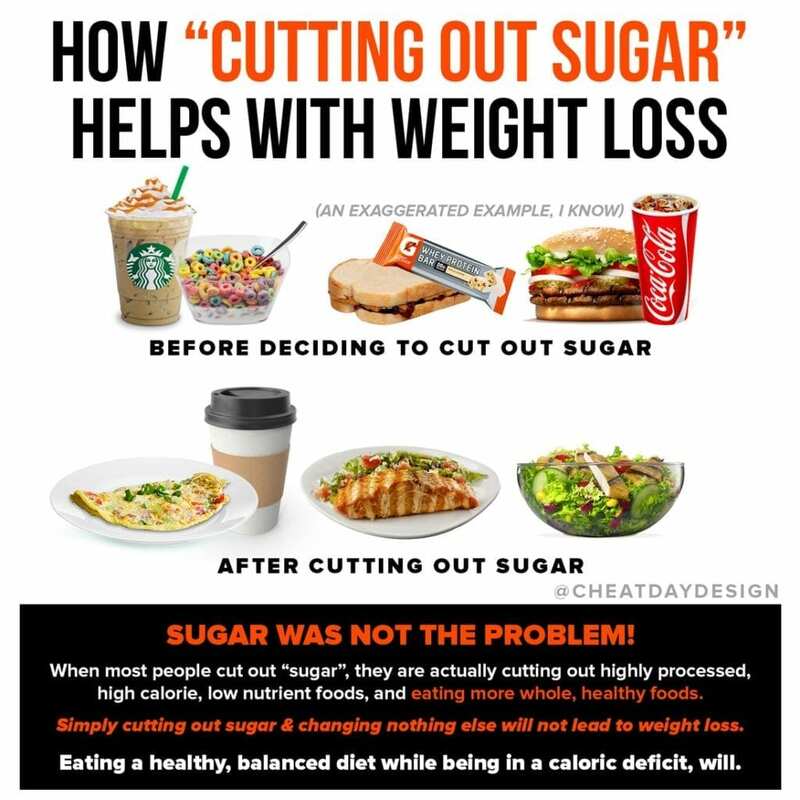 We’ve been taught that you can’t lose weight eating simple carbs. White bread, pasta, potatoes, white rice…they’re all off limits. But why? If we look at these all from a macronutrient standpoint, they’re quite similar. 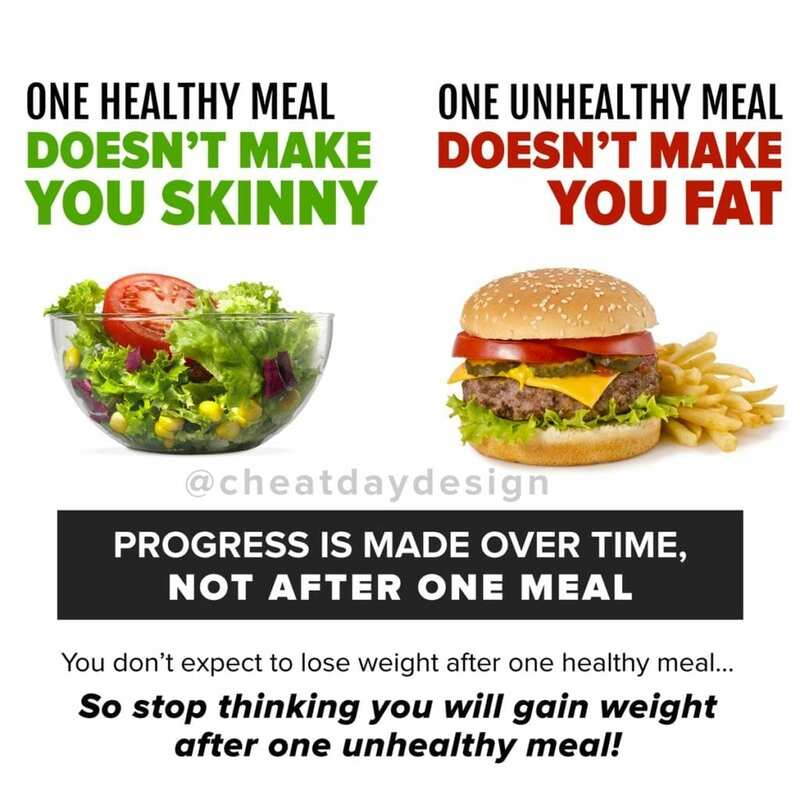 If your ultimate goal is weight loss, calories are king. And from a caloric standpoint, it truly doesn’t matter which you choose. These are all virtually the same. Fiber is one of the main reasons that the right side of this graphic is recommended for weight loss. Since they all contain slightly more fiber, they MIGHT be more filling for you. Honestly, a difference of 2-3g fiber is quite small, but it’s all very much individualized- it might make a difference for you. Some might find brown rice more filling than white rice. It all comes down to individual preference at the end of the day. Me personally, I love white rice and I’ll choose it over brown rice every day. But on the other hand, I prefer sweet potatoes to regular potatoes. It’s just my preference. 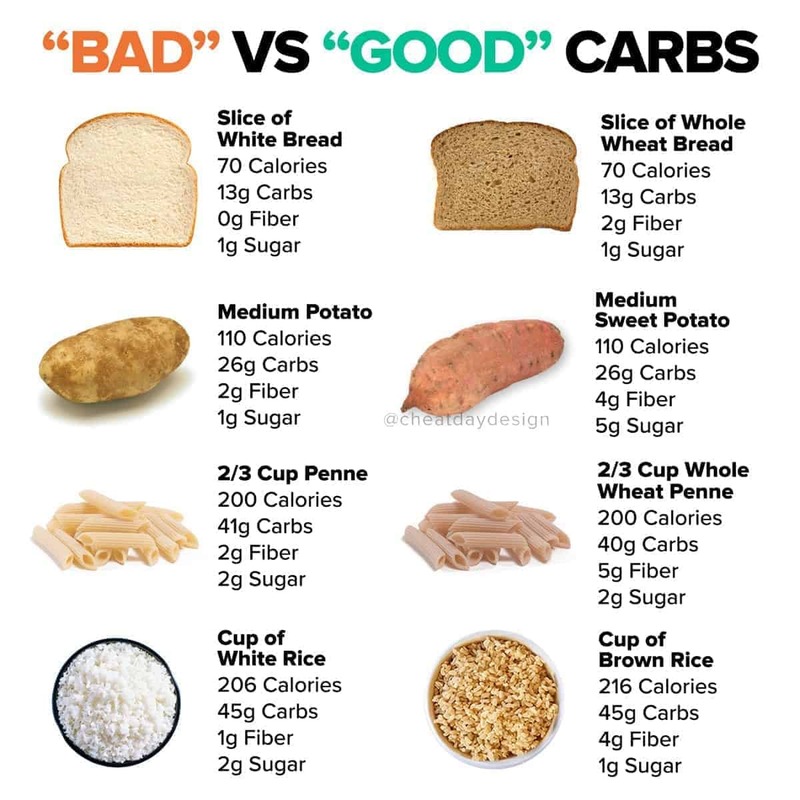 Some people will say you shouldn’t consume white bread because it’s highly processed (that’s how they get it white after all), or that regular pasta shouldn’t be consumed because of the higher glycemic index. But these things might not be as big a deal for you! If you goal is weight loss, you CAN eat carbs. There is no magic to “complex” carbs that will prevent you from gaining weight. At the end of the day, it’s a matter of what you prefer to eat, and how much of it you choose to eat. I promise, if you love pasta, you can fit it into your diet and still lose weight. 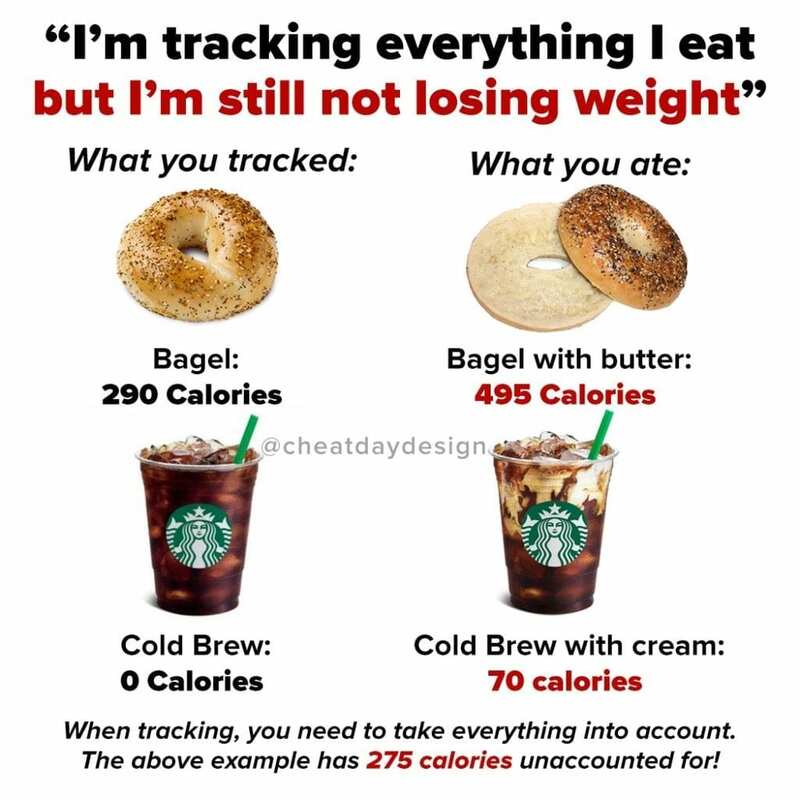 Please note that the exact calories and macronutrients might vary based on brand, but I did choose to compare the same brand for each food to remain consistent.